Gosh, can you believe that this is the last Monday in March?! And Easter is this Sunday!!! Since it is Monday, we are starting a new challenge at Bitten By The Bug 2. Our wonderfully talented DT Sister Melanie is hosing this week. She has challenged us and you to make a project using a Cricut bunny or rabbit. I just love this cut of the bunny inside of the tulip from the Baby Steps cartridge. I decided to do it as a print and cut. Love how they turned out. And how about the smaller one on the inside? I punched the clouds from a Fiskers punch. The grass is from the Mickey and Friends cartridge. 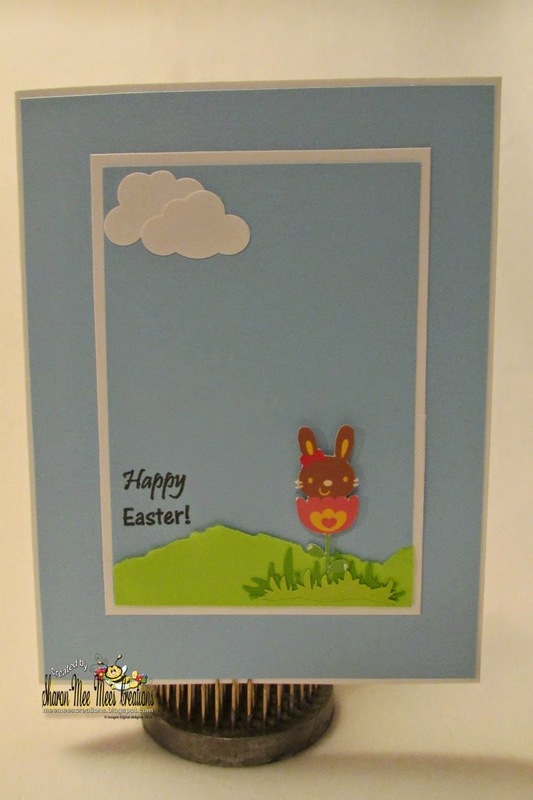 The sentiment on the front is from the 'Easter Punnies' stamp set and the inside one is from the 'Happy Days' stamp set. 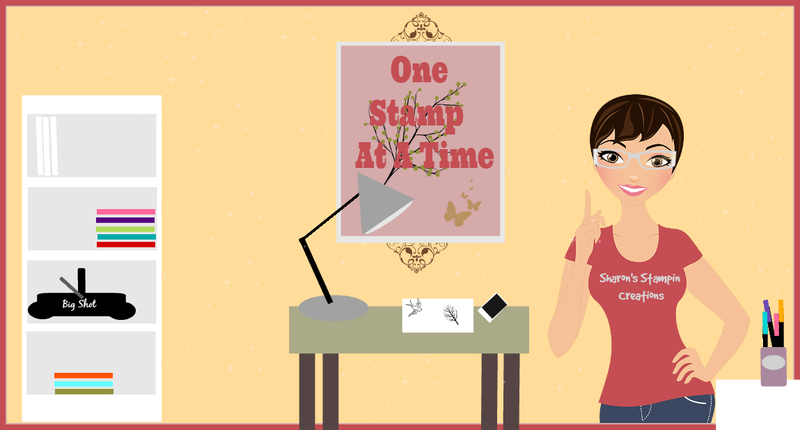 These are from Mary-Cardz TV Stamps. Hope you plan on visiting Bitten By The Bug 2 and checking out the projects that my DT Sister's made. I promise you that they are awesomeness for sure!!! While you are over there, look in the sidebar at the rules for our challenges. 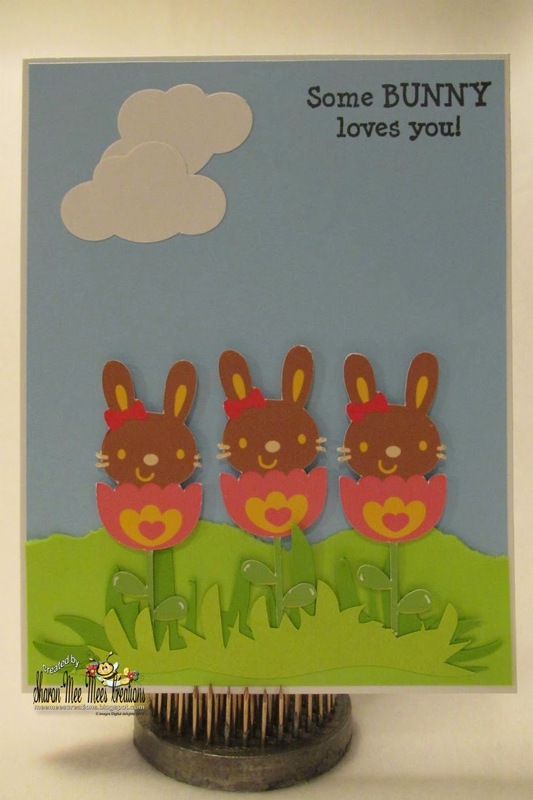 Then head to your crafty space and create a project using a Cricut cut of a bunny or rabbit. Looking forward to seeing what you make. your idea to put the bunnies in the cracked eggs is genius! Love it and made me laugh. Have a great Easter. This is just too cute with the bunnies popping out of the tulips. This is such a cute scene. I love how you finished up the inside, too. have a great week and Happy Easter to you and your family! fantastic card! I just love how you decorate the insides of your cards! Awww...what cute little bunnies! They look so sweet in this pretty spring time scene you have created. As always, I love the inside of your card as much as the outside - just adorable!